Even though Google has stopped refreshing its official Android distribution stats with no warning or explanation last fall, it's pretty obvious ambitious initiatives like Project Treble haven't made a major difference in the overall speed of OS promotion rollouts. But perhaps a smaller change could soon help smartphone manufacturers deliver faster "system updates" through a revised channel. 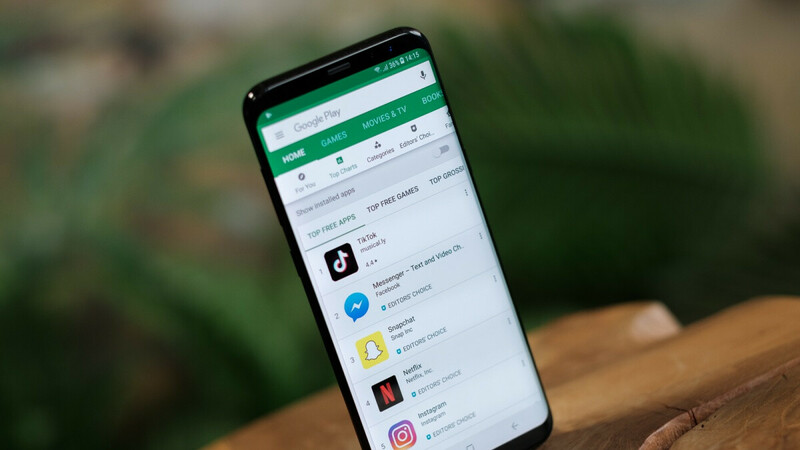 Instead of having to initiate these OS updates from a phone's settings menu, Android users are likely to get a download option directly in the Play Store. That's at least according to a number of (not-so-subtle) references discovered by the folks over at 9To5Google in the source code of a new Google Play version. Of course, the actual Play Store system update functionality is not available yet, and there's no telling when the feature is supposed to go live. It might even never materialize, as the search giant often tests things internally without releasing them to the masses. But although we're naturally light on specifics, this sounds like a very good idea from at least one key standpoint. With the new feature, users would be able to update both their apps and underlying operating system in one place rather than digging through various settings screens for the latter process, which some people may not know when or how to do properly. That minor convenience improvement alone makes this possible change worth our attention, but if Google can somehow help OEMs accelerate their OS updates, that's obviously even better. And Samsung. The unlocked version of the S9 has been behind with updates and security updates. LG has trouble updating its hardware, let alone software.